Authors and speakers need stress free time to condition their thoughts into words that are completely inimitable. They are also so consumed in creating their own vision for the world that they miss out on a lot of important things when it comes to promoting themselves and their brand image. A Virtual Assistant can come to their rescue to execute all the important administrative and marketing tasks that are needed to take their words and thoughts to the masses and be known across the digital platform. There are several ways as to how authors and speakers can use Virtual Assistants. Handle social media accounts: A good online presence can take your brand many notches ahead. Virtual Assistants can help you keep updated with all the latest news and events coming through on your social media handles. Nearly 1/3rd of the population uses social media to connect and network on a daily basis. Therefore, having your social media accounts as per the industry standards with updated pictures and the very latest details in place is the way it should be. Hiring a VA is such a good option since they have a specific role which will be to see to the fact that there is a lot of activity in your social handles by taking part in many interactions that revolve customer engagement. This will not only result in many new leads but will also help you be in touch with the latest and trending news. Transcribing: Using a VA instead of a professional transcriptionist can save you a lot of money. Transcribing your speech or presentation to your blog or website regularly can be very beneficial for you as a speaker or author. A VA can update your work regularly and help the readers from around the world to know more about you through your blogs and websites. Managing newsletters: Email marketing is a good digital marketing strategy for speakers and authors. Build an email list to send newsletters to your followers on a regular basis about the latest trends in your niche. A VA can be of immense help in creating a contact list and asking users to join in. But make sure to send emails legally or else it might land you in big trouble. From designing templates to making email campaigns stand out with offers and giveaways for your exclusive subscribers is what a VA can juggle very well. Inbox and calendar handling: If you are a busy bee and constantly bogged by the frequent email notification and inquiries, phone calls and meetings, a VA can handle all of it quite efficiently. A VA can come in handy and strategically plan and schedule your meetings and tackle all email inquiries. This way you will not be in constant stress of missing out on any important person or appointment. All this will make you look highly professional. Arrangements: A VA is almost like your personal assistant who looks into all matters of your work. From scheduling an important meeting to arranging the itineraries, you can completely rely on them without any hesitation. Even if you have very less travels, it is always important to arrive prepared and unfrazzled with proper arrangements as per your requirement. A VA can make all such arrangements from booking hotels and transportation to scheduling your time and meetings with your client or host. Understanding their needs: A speaker often faces problems of not being ready to take the stage on time. This is due to the projector not being ready or any audio/visual set up that always goes haywire at the peak time of the event. Simple lookouts like if the presentation is on a CD or a flash drive, is the projector or the computer up and ready for the conference, will it be audible to the audience, etc. 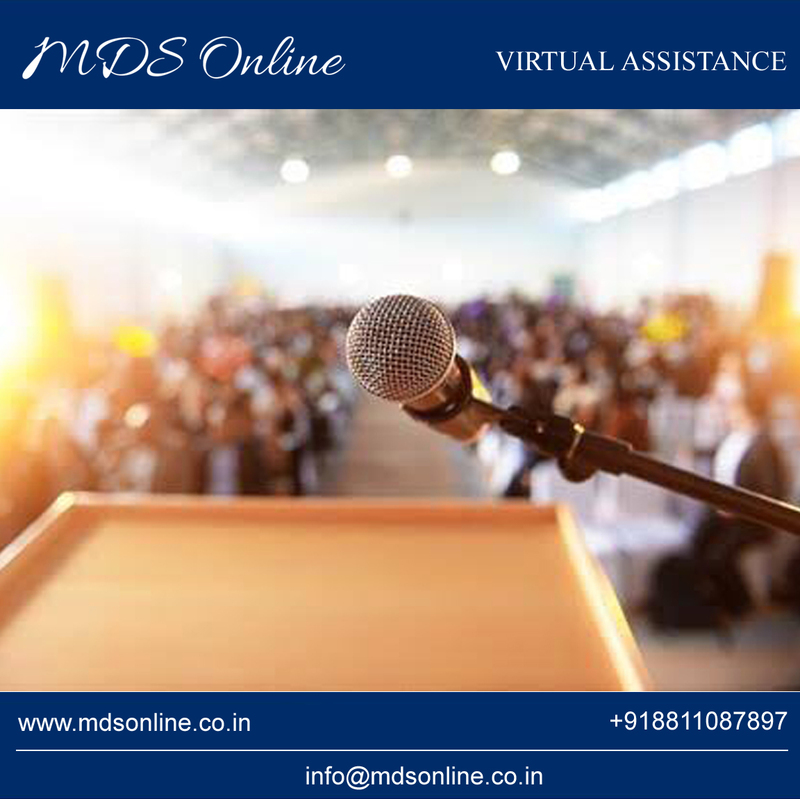 A VA can actively be there if not physically present at the venue by coordinating and checking on the various aspects of the person in charge and reminding the speaker time and again about it can be helpful too. Monitoring HARO queries: HARO or Help a Reporter Out can be very beneficial for first-time authors and speakers. It is very important to let people know about you and your work when you are starting out. Virtual Assistants can sign you up as a source and you will receive emails three times on every working day with queries from journalists and bloggers. Monitoring the daily queries is important for you to grow yourself in the market especially when you are new. A VA can also use your previous content to pitch or reply as sources for stories. A regular response mechanism is essential to receive maximum media coverage and VA is apt to do that quite convincingly. After going through the above-discussed points, you should now be well aware of the power a Virtual Assistant can have as opposed to any other elements to upgrade your work and make you a known face out there. 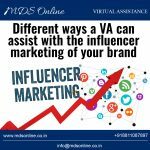 Prioritizing your digital presence by implementing your strategies in a planned manner is what a Virtual Assistant does best. If you are starting out your journey as an author or a speaker, it is never too late to hire the perfect VA who will be your digital stress buster. 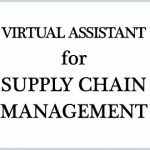 How can Virtual Assistants help in Managing a Supply Chain Company? 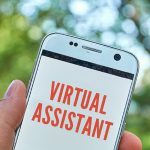 Do you need to hire a virtual assistant? Copyright © 2019 MDSOnline Blogs - 360 Degrees Virtual Assistance.